Just imagine working in an elegantly appointed corporate building furnished with fine art, designer furniture, and Lenox China. You’ll work in one of twenty-three private offices, maybe even one with a balcony overlooking our private courtyard and fountain. Our instant offices and executive suites offer all the luxury amenities you would come to expect from high-end office buildings. 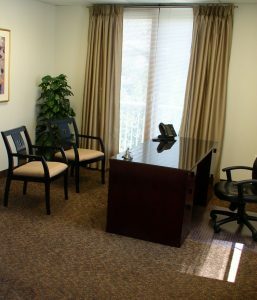 From the convenience of your office, you’ll savor daily Continental breakfasts, complimentary Starbucks coffee, and have your dry cleaning picked up and delivered while you work. You may choose to support your well-being, as well as your aesthetics, by working out in our private, on-premises exercise facility, and never miss a phone call or waste valuable time. Enjoy conduction business out on our beautiful patio with Wi-Fi. Indoor tennis courts are right next door. By renting office space, you gain automatic access to two conference rooms with access to the latest technology and video conferencing equipment, as well as a lunchroom, exercise facility with shower, and long-term storage. You could not replace these amenities for a lower price! Prestigious business conveniently located near New York City, area airports, transportation & fine dining. 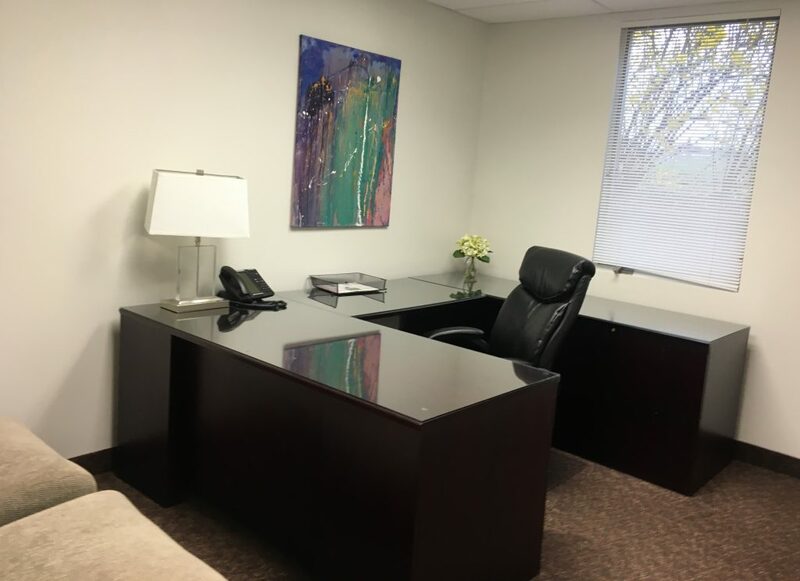 Sparkling clean, tastefully furnished executive offices and suites (some with private balconies overlooking the courtyard and fountain) in a modern newly constructed building. High tech conference rooms with fast video conferencing system. Direct High-Speed Internet Access with dedicated bandwidth for those who need it. Plus a second backup Internet source to ensure connectivity. Visual Mail where voice mail messages and E-Faxes can be retrieved through your computer or mobile device, plus 24-hour phone/internet remote accessing. Personalized/customized telephone answering service, customer order taking and call paging to simultaneous sites to ensure you will be reached for those important calls. State-of-the-art VoIP phone system and computer dashboard to allow you full control of your communications 24/7. You can even call from your Outlook contacts plus much more. Instant national access to other office/conference rooms. Make an appointment today to visit our facility and select the program that best suits your needs to make a positive impact in your business. We look forward to assisting you in building your business.